The title can go for both men and women, but it defines a group of people with whom I am feeling closer and closer. In this specific moment in history, particularly religious history, we are exiting a strictly modernistic approach to all things religious. No more pigeon-holing and walls of denominational exclusions. Yet while the shift is obvious and large enough to guarantee it’s further progression, the trip isn’t over. While we are leaving an era of dissection understood and hypothesis tested for a place of trusted uncertainty, this point of gap between the leaving and the arriving will for some be the parenthesis in eternity where their lives are lived. These are the real X-Men. To understand and perceive a shifting in perception and function in the modern religious landscape is first to be commended, to have acted upon that feeling is courageous. Some have felt the change and remained… waiting. Others have seen the change and abandoned the past to embrace the unknown. Still others have sought to link the two and in many cases been “torn asunder” spiritually and emotionally. 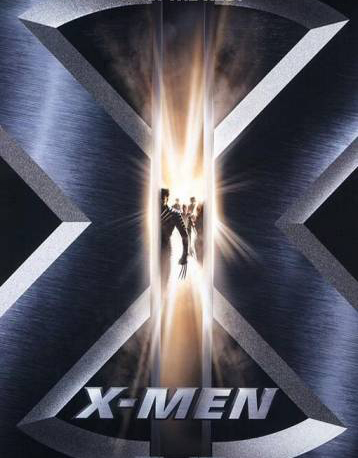 As in the movie of the same name, the X-Men were something new. Some were frightened and wanted to “cure” them, but they understood that what had occurred was not a “disease” but simply who they were born to be. Most likely I will not live to see the other side of this river of change, my life will have been lived out not having rested on solid ground, but on restless waves. Still, I know that though the river is full of change now – once the traverse is complete the journey will be remembered as have been made on a river of dreams. This entry was posted on March 25, 2008 at 8:34 pm and is filed under Belief, Context, Cultural Ideas, Influence, religion. You can subscribe via RSS 2.0 feed to this post's comments. You can comment below, or link to this permanent URL from your own site.